Once a secular, modernizing country, Turkey’s ruthless assault on journalists raises serious doubts about its future. On January 25 of this year, Turkish Prime Minister Recep Tayyip Erdogan made a stunning but widely overlooked announcement: His government was interested in joining the Shanghai Cooperation Organization (SCO). As Turkey’s campaign to join the EU stalled, its government turned to the east instead. But there is something far more worrisome in Erdogan’s bluster—something that may reflect a more profound turn that Turkey seems to be taking. Under the leadership of his Islamist Justice and Development Party (AKP), Turkey is moving away from the liberal and democratic ideals of the EU and toward something rather alarming. Unlike NATO, which counted Greece and Turkey as members when both countries were ruled by anti-communist military dictatorships, the EU prides itself on being a bastion of progressive values. Members must swear to respect the democratic system, union rights, human rights, gender equality, political pluralism, and press freedom. In addition, members must submit legislation on a host of issues, from environmental protection to food safety regulation, to various EU bodies for review. Thus far, Turkey has only fulfilled one of the EU’s 34 conditions for entry, pertaining to funding for scientific research. Possible Turkish membership in the EU has produced a cottage industry of think tanks, experts, books, and a steady stream of journalism. Whereas the post-Cold War accession of former Eastern Bloc nations like the Czech Republic, Poland, and the Baltic states was always considered a matter of time, the application of Turkey, formally tendered in 1987, has been much more problematic. Despite the optimistic pledges of Turkophilic European officials that the country’s place in the EU is “natural,” the question of whether a country of over 70 million Muslims can fit into Europe—however post-Christian—is a serious one. And amidst the debate over the role of Islam and the attendant concerns of secularism, gender equality, gay rights, and other issues important to the EU, perhaps the most glaring indicator of Turkey’s inadmissibility is not even culturally based. Rather, it is the Turkish government’s unrelenting attacks on different forms of free speech—especially freedom of the press. Simply put, Turkey does not ensure the freedom of the press. Turkish prisons today house more journalists than any other country on earth, including China and Iran. Last year, Reporters Without Borders labeled the country “the world’s biggest prison for journalists.” This year, it listed Turkey as 153rd out of 179 countries on its annual World Press Freedom Index, behind the Palestinian Authority, Russia, and Singapore. At the end of 2011, there were somewhere between 3,000 and 5,000 cases pending against various journalists, and the government enjoys broad authority to prosecute them for doing things that in democratic countries would earn them awards. For example, “breaching the confidentiality of an investigation” and “influencing a fair trial” are illegal in Turkey, rendering investigative journalism a dangerous enterprise. Turkish journalists are prosecuted simply for doing their jobs. Arrests, tax investigations, and condemnations from the prime minister have a chilling effect. 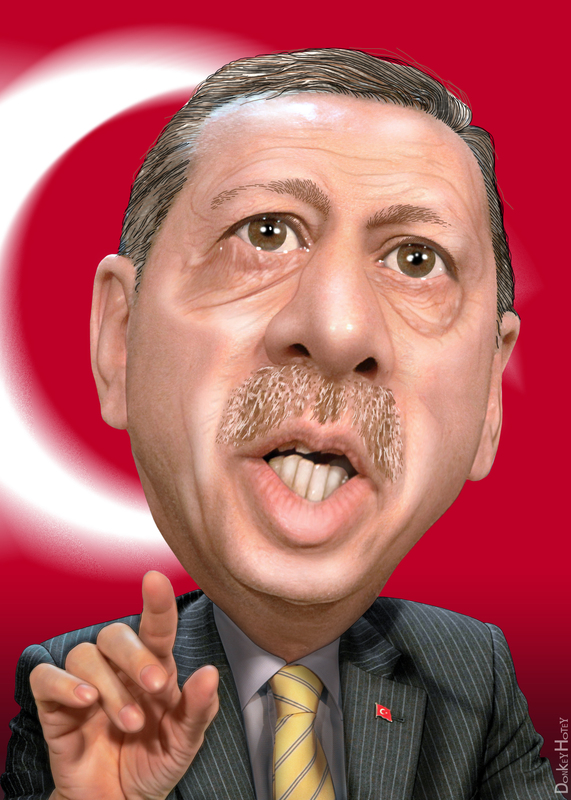 The AKP’s attempts to silence critics extend beyond targeting individual journalists. In 2009, the government imposed a $3.2 billion fine for tax evasion on the country’s largest media conglomerate, the Dogan group, owner of the popular Hürriyet newspaper as well as other print and television outlets. Dogan has been highly critical of the AKP and the fine exceeded the value of the company’s assets, neither of which is likely a coincidence. Prime Minister Erdogan insisted that he had no role in the matter, as the case fell under the jurisdiction of the tax authorities, though he had earlier called upon his supporters to boycott Dogan in its entirety. While the persecution of journalists is especially jarring to Western ears, Turkey’s attack on freedom of speech goes much deeper, extending to the basic question of language rights. In yet another throwback to the authoritarian past the AKP claims to disdain, the party has vigorously enforced a 1991 law banning the use of the Kurdish language in any official setting. Although Kurds constitute one-fifth of Turkey’s population, this law applies to public school instruction and even speeches in parliament. 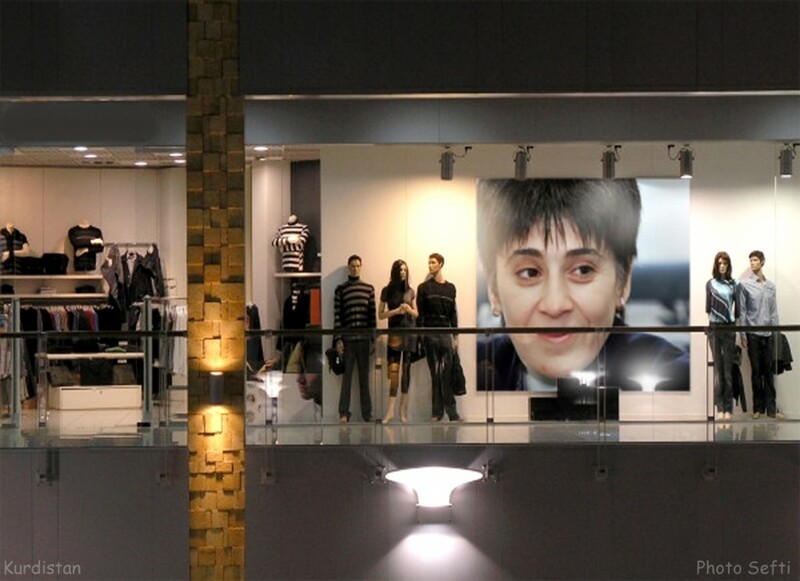 The law has been used against a series of Kurdish politicians, most notably Leyla Zana, the first female Kurdish legislator, who was harassed by the government in 1994 after uttering a single line of Kurdish in her opening remarks to parliament. Later that year, Zana was sentenced to ten years in jail on the spurious charge of collaborating with the PKK. While imprisoned, she won the EU’s Sakharov Prize for Freedom of Thought, and the European Court of Human Rights found in her favor. The Turkish government, however, ignored the ruling, and last May she was again sentenced to ten years in prison, this time for “spreading militant propaganda.” That Turkey’s persecution of its Kurds continues despite the government’s much-hyped “Kurdish Opening” policy of bettering relations with its largest minority illustrates the deceptive way the AKP markets itself to the West as a modernizing, progressive force. In addition to words in the Kurdish language, there are other things one cannot say in Turkey. Thanks to Article 301, introduced by the AKP government in 2005, it is illegal to insult the “Turkish nation” (the original version of the law outlawed any insults to “Turkishness”). Article 301 is inherently vague, giving the government wide authority to prosecute whomever it wants. The most infamous use of the article was against Nobel Prize-winning author Orhan Pamuk. His crime was to acknowledge the reality of the Armenian genocide in a 2006 interview with a Swiss magazine. Though the charges against him were dropped after massive international pressure, Article 301 has been deployed against many other individuals. 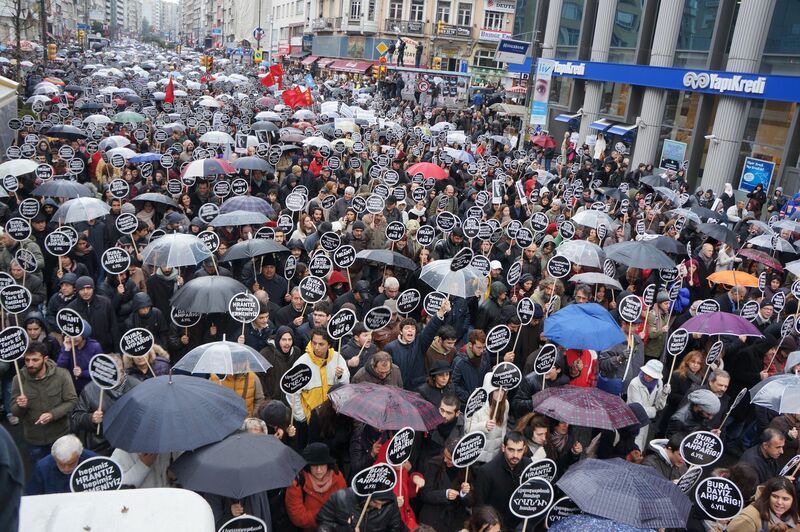 Thousands march in Istanbul to protest the murder of journalist Hrant Dink. If that is indeed the case, then European Turkophiles have a great deal of explaining to do. Turkey shouldn’t respect press freedom—or any other democratic rights—in order to join a powerful regional bloc. It should do so because press freedom is a cornerstone of any democratic society, the sort of society Erdogan and his colleagues repeatedly claim to have built in Turkey. To blame the EU for Ankara’s indifference to press freedom denies Turkey’s political leadership any agency over the direction they have taken, and absolves them of responsibility for imposing an increasingly brutal and repressive policy. Europe has created a union that, despite its numerous flaws, is built upon democratic principles worthy of being promoted around the world. From the Balkans to the Caucasus, the lure of EU membership has had an undeniably positive impact. A crucial, perhaps the most crucial, aspect of any functioning democratic state is the freedom to speak one’s mind. The EU would never tolerate a member state that jailed journalists or outlawed critical speech. Indeed, such actions would be grounds for expulsion. If the Turkish prime minister does not understand this, then perhaps the Shanghai Cooperation Organization is precisely where his nation belongs. 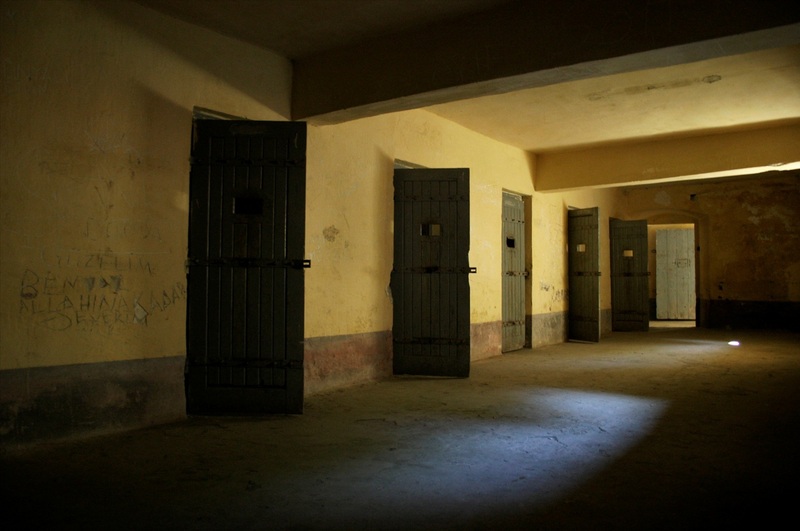 The notorious Sinop Prison. 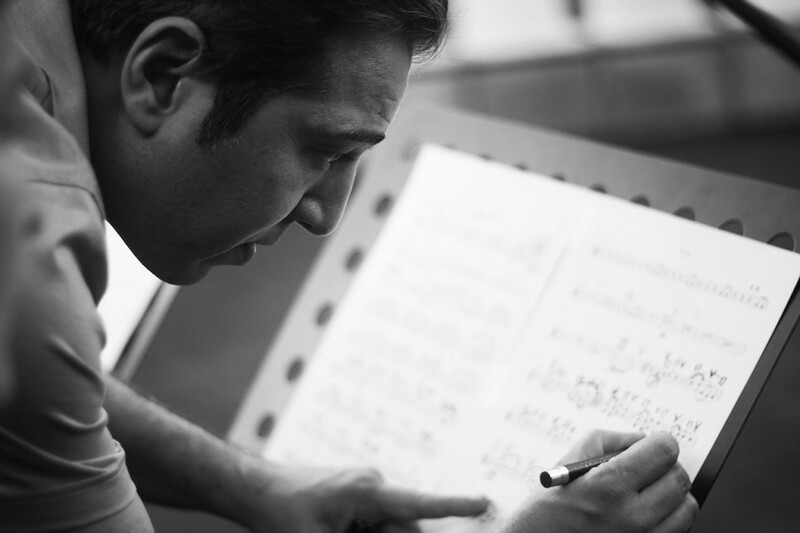 Photo: Ali Gemal Ergelen / Fotopedia.